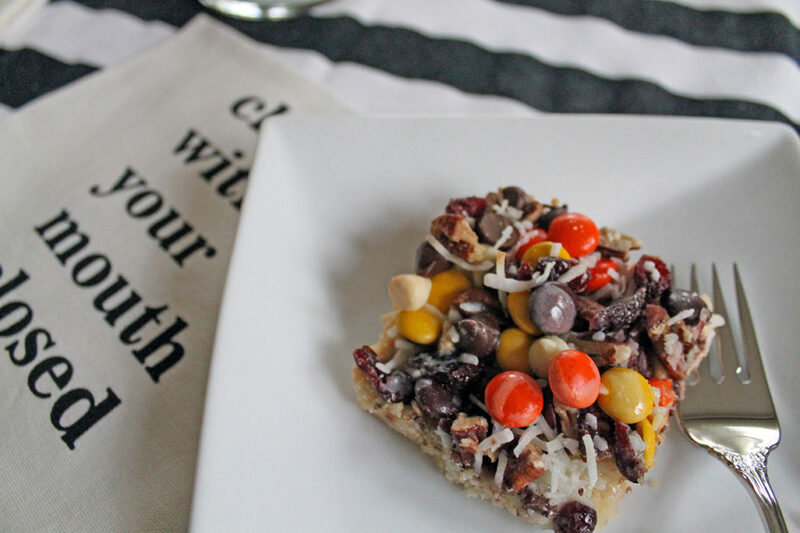 I love a good magic cookie bar! Not only are they simple to make, they are quite delicious! 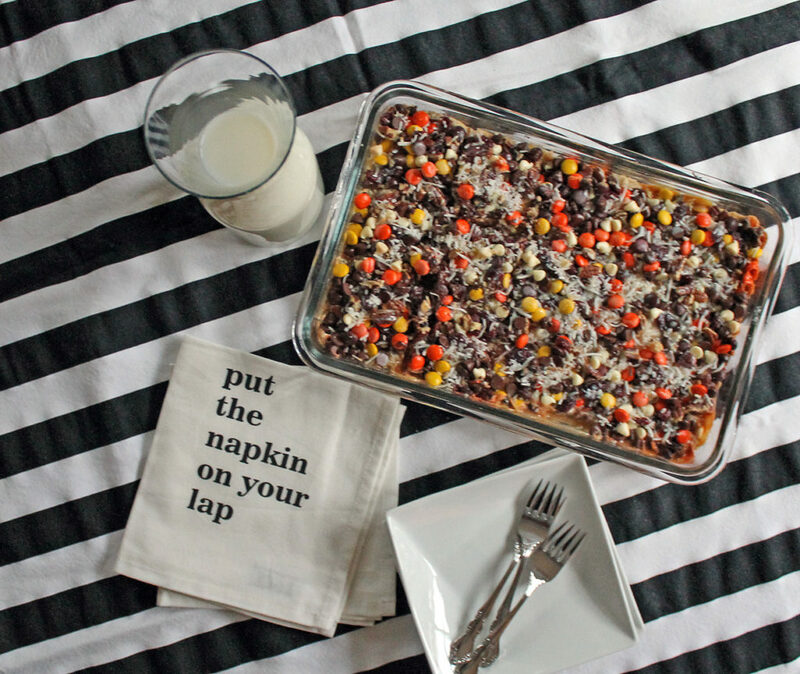 There are so many variations of magic bars…however, this one with Reese’s Pieces is my favorite. 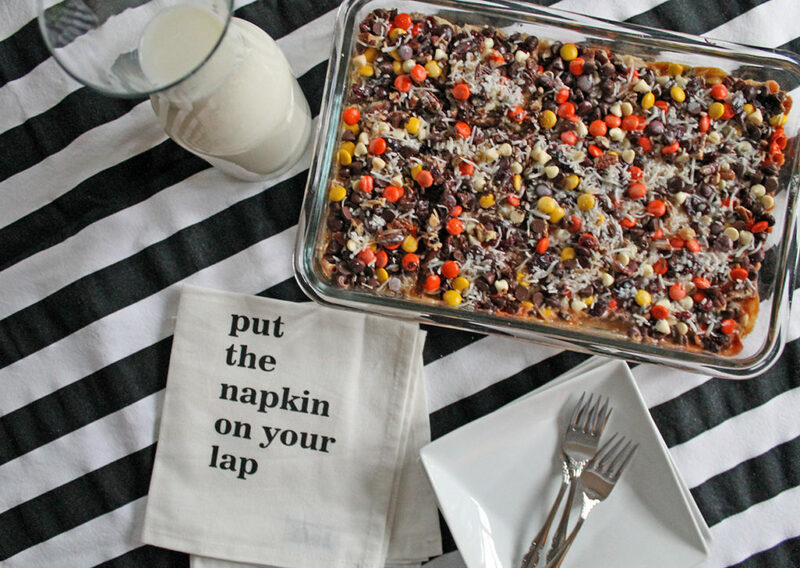 I’m sharing the printable recipe below, but there are basically three steps to making these. You start by mixing together the ingredients for the crust and baking it. While the crust is baking, you combine the rest of the ingredients and put them on top of the crust. 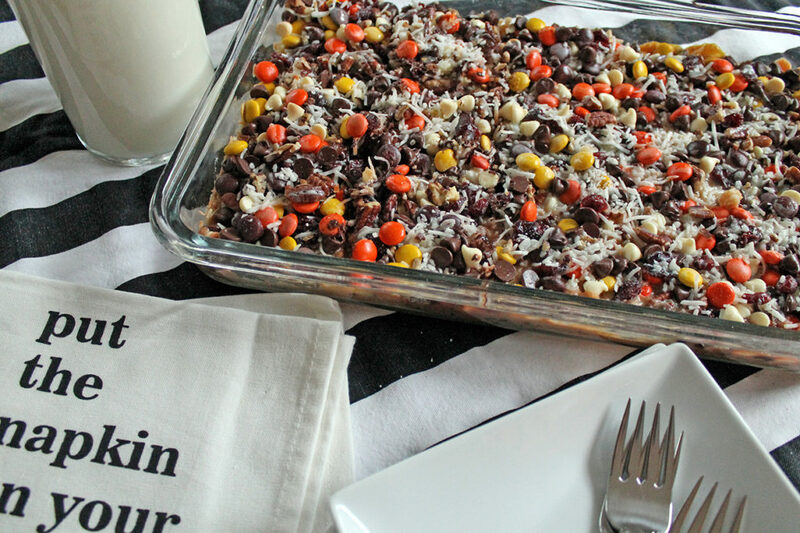 And the final step is what gives the bars that ooey-gooey goodness…the MAGIC! 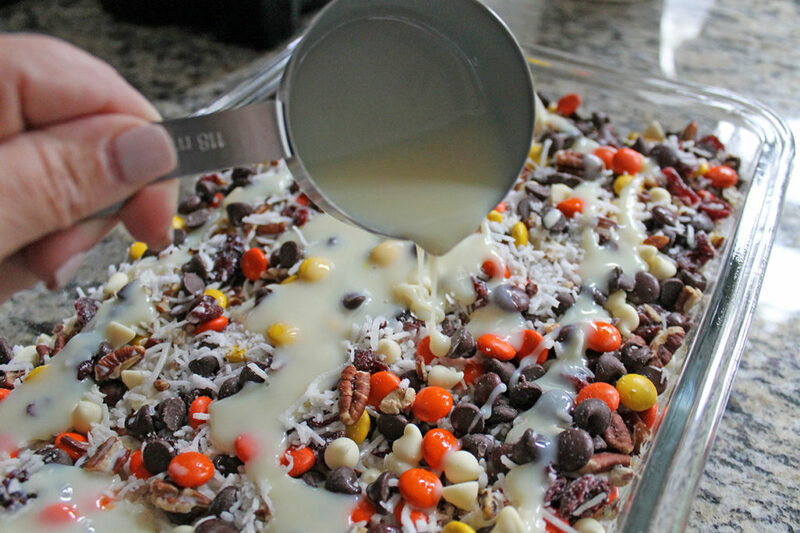 Pour the sweetened condensed milk on top and bake some more! 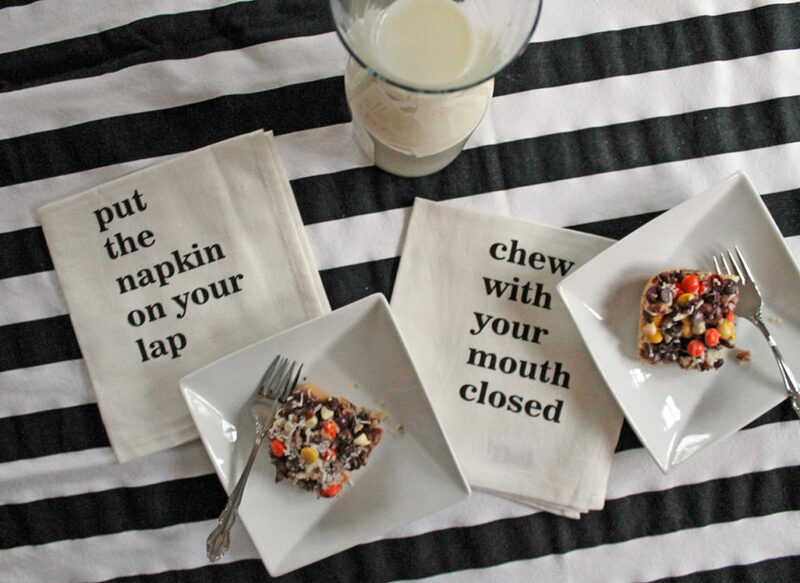 Just a thought…these would be good to make with the “extra” candy our trick-or-treaters will be bringing home next week. Hope you enjoy them as much as the crew teammates did! Preheat oven to 350 degrees. Mix together the flour, powdered sugar, and salt in a food processor with a steel blade. Add the butter and pulse a few times until you have coarse crumbs. 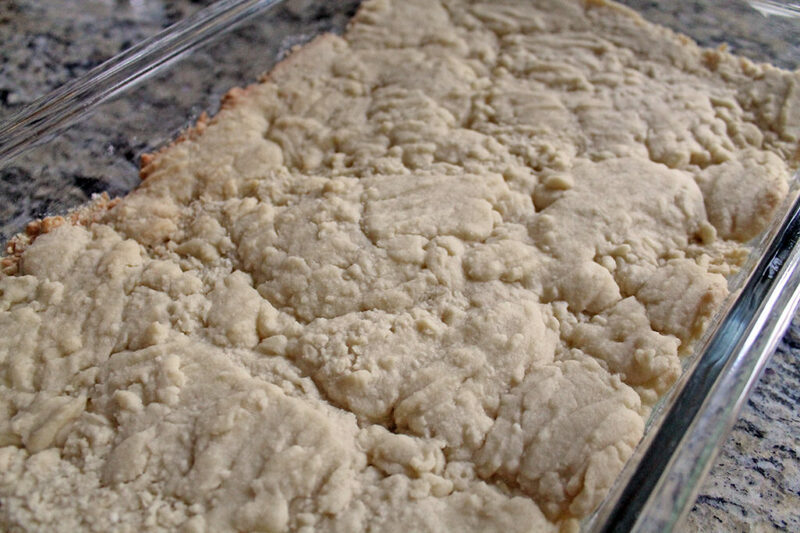 Place the mixture in a 9 x 13 dish and press down firmly using a fork to form a crust. Bake for 25 minutes. 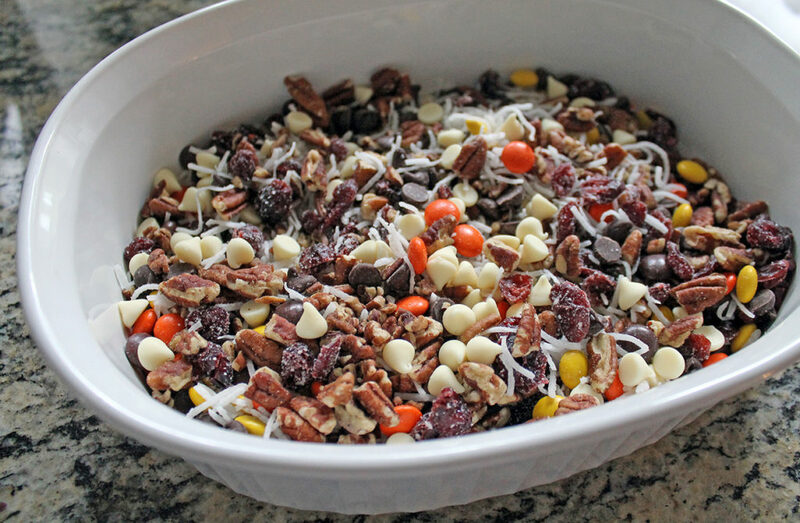 While the crust is baking, mix together the Reese's Pieces, white chocolate chips, dried cranberries, coconut, and pecans in a bowl. Remove the crust from the oven, and pour the chocolate mixture on top. Drizzle the sweetened condensed milk and the evaporated milk over the top. Bake an additional 10 minutes. 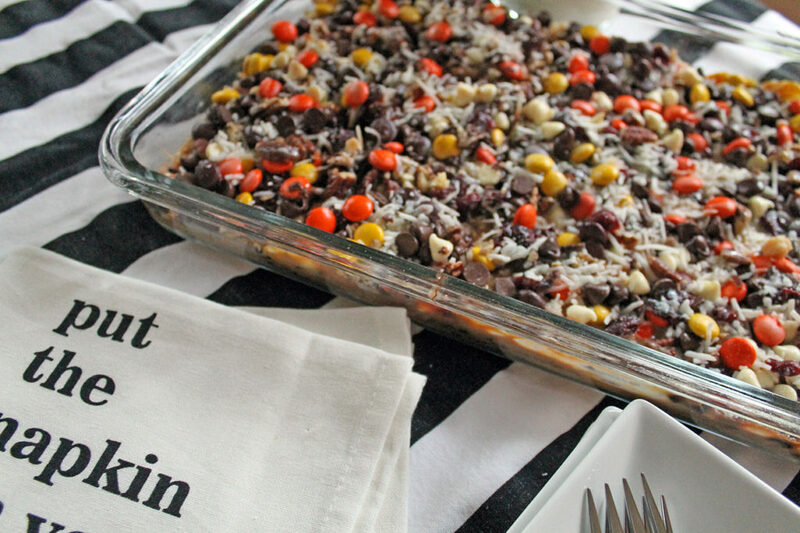 Cool completely in the pan, and then cut into bars.